Liberty Application Deadline is November 1. 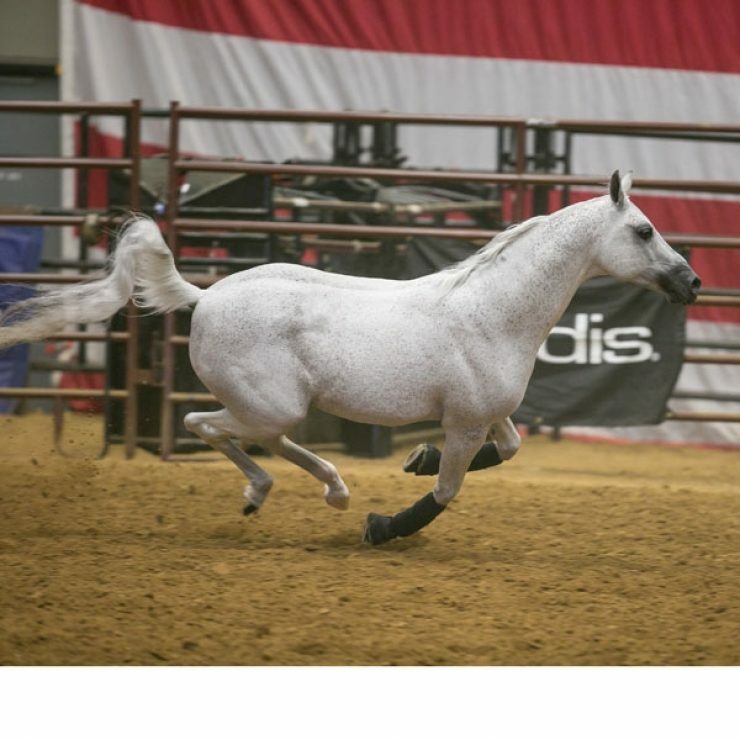 The Midwest Horse Fair is constantly striving to provide quality entertainment opportunities to both horse owners and those who just love horses. The Liberty Presentations are a wonderful way to share not only the beauty of the horse, but also showcase the fun, free spirit of each individual equine. This is a great opportunity to spotlight your magnificent horse, its breed and talents with Midwest Horse Fair attendees. Applicants who did not participate in Liberty at the previous year's Midwest Horse Fair are required to submit video. Video must be less than three minutes. Video must be provided through an online link such as YouTube or Vimeo. Remember to check that your privacy settings allow outside viewers. Film your horse in an arena if possible. Pastures and round pens are less than ideal settings especially if other horses are present. A Midwest Horse Fair committee will choose 15 horses (5 per day) for the Liberty Presentations. 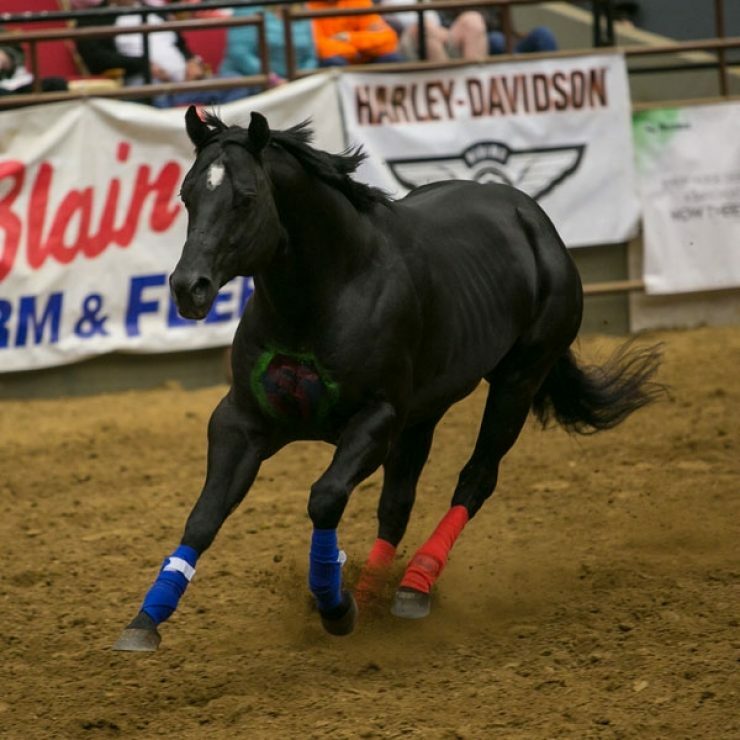 Horses chosen for Liberty will be shown in the Coliseum for up to two minutes. Horses must be free of tack, equipment and costuming. Splint boots, leg wraps and bell boots are permitted. Appliances other than unmodified whips are not permitted. Plastic may not be attached to whips. Horses can be caught in the catch pen adjacent to the arena entrance. Horses that are mark trained may be haltered in the arena and led out. MUSIC REQUREMENT: If selected, music must be submitted digitally to the Midwest Horse Fair office no later than March 24. If music is not received by the deadline, it may be chosen for you. Song tracks should be in MP3 format. Music containing foul, vulgar, or suggestive language will not be accepted. Selected participants will receive more information on how to submit their music. 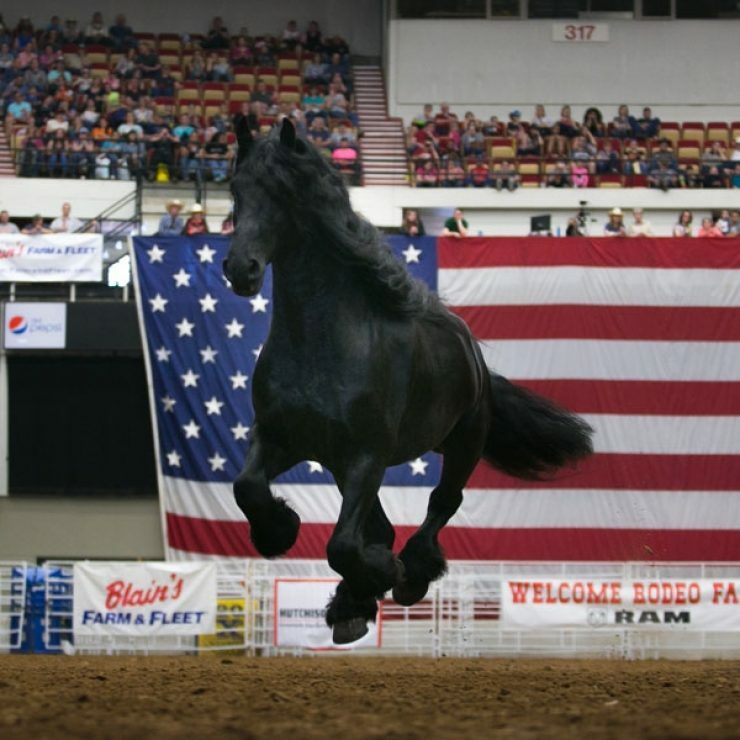 Horses are required to arrive at the Midwest Horse Fair on Thursday between 8:00 am – 9:00 pm and will not be permitted to leave until 5:00 pm Sunday, after the completion of the Fair. If you are not already participating in another area of the Fair with the same horse, you will be required to pay a stall fee. Two 3-day wristbands will be included with the stall fee. Original and a copy of the laboratory report of a negative equine infectious anemia (EIA) test conducted within one year of the last day of MHF. Original and a copy of the certificate of veterinary inspection issued within 30 days of the last day of MHF if you are coming from a state the than Wisconsin or Minnesota. Additional information will be emailed to selected participants by March 15.